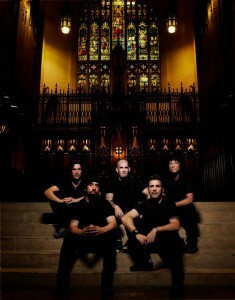 ON THE SPOT – Anthrax: Joey Belladonna Interview – Spotlight Report "The Best Entertainment Website in Oz"
Thanks to Riot! 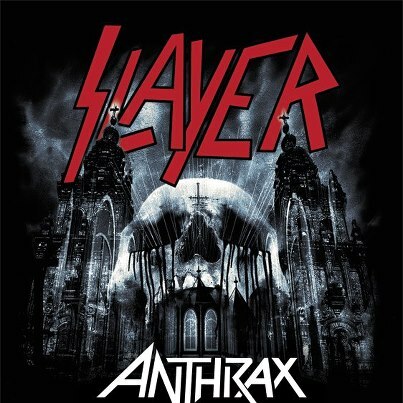 Entertainment, we had the chance to chat with Joey Belladonna from Anthrax, about their upcoming visit to Australia for Soundwave 2013, their sideshows with Slayer, the Big 4 and much more! SPOTLIGHT REPORT: Hi Joey! wow this is awesome! It’s a huge honor to be able to talk to you today! JOEY BELLADONA: Ha ha…My pleasure man! SPOTLIGHT REPORT: My first question is I want to talk a bit about you and your background. So I would like to know who were your idols when you were a kid? JOEY BELLADONA: Umm, Beatles were one of my first first shots at like liking music and harmonies and just great songs and stuff. Then move into that, to that, to Led Zeppelin, Kansas, Rush, you know, that kind of thing. I like music agility, stuff that was very intricate but yet catchy and hooky you know, with great vocals. 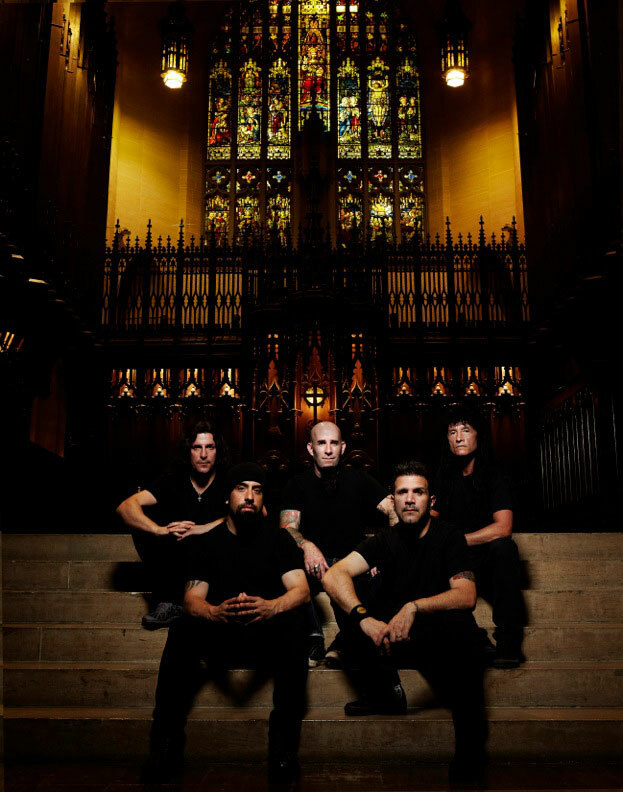 SPOTLIGHT REPORT: What do you remember from your first live show with Anthrax? JOEY BELLADONA: Um, it was very different you know. I think the band wasn’t really well known as much at the time my first go around. It was just building up as a really good band. It was very new if anything, you know, but it was great. It was great experience to step out there and do original songs versus doing covers that I did previous to that you know. SPOTLIGHT REPORT: Also what can you tell us from when you were away from the band doing Belladonna. How was the experience going solo? JOEY BELLADONA: Ah it’s a lot of fun you know, I means it’s obviously something I got to do on my own and chose the songs I want and do the venues I want and do what I want. You know, that kind of thing! Just being able to create your own music and stuff, you know. I didn’t want to stop doing stuff cause I wasn’t in Anthrax. It was good! SPOTLIGHT REPORT: Beautiful. 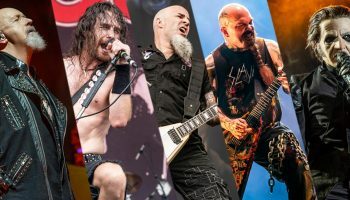 And now speaking about the latest album with Anthrax Worship Music, I wonder if you can look back and tell us how you think the band has been changing over the years? JOEY BELLADONA: Well, um, I know through the 90s the music trend spawned a bunch of new people doing different styles of music and stuff, with vocal styles and things like that. 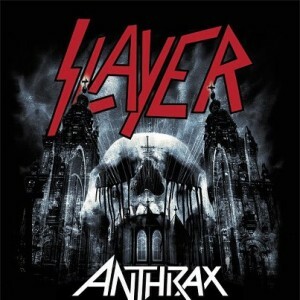 I think Anthrax stayed true to what they do. I think they may have expanded a bit of styles to adapted to things, but nothing to a point where we didn’t stay original and everything so I still think what they have done is innovative enough to add new style to the music that we do, stuff we’ve still got an edge to, maybe even more wide open for vocals. Things like that. Harmonies. SPOTLIGHT REPORT: Do you have a new album in the works or in the future? JOEY BELLADONA: Well at this point we just finished the EP a little bit ago and let that do its thing. And I think they are some music just sitting around waiting to be put together. There was a song we put together before we came off the tour. But there’s pieces. We haven’t got together as a band as yet but I know there are people who have stuff sitting around at home waiting to be put together I’m sure! SPOTLIGHT REPORT: Cool. Well obviously I have to ask you about the Big 4. 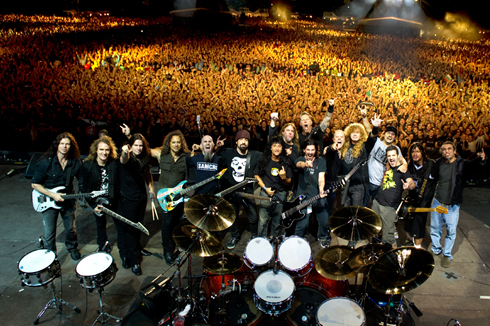 Can you tell us how you guys got on this amazing project that was the dream gig for all those metal fans? JOEY BELLADONA: The overall Metallica tour or this coming one? SPOTLIGHT REPORT: Just how did you get on board for that? When did all this start? JOEY BELLADONA: I just think the band was approached. I kind of came in when that first took charge. It’s just a matter of mediating a tour like that we normally do. People make phone calls and agents discuss things and before you know it you’re working and playing together and taking the tour from there you know. SPOTLIGHT REPORT: And how was the reaction of the crowd on the first gig you did with ‘The Big 4’? JOEY BELLADONA: Oh there really isn’t anything much like it. It was amazing you know. The crowds are enormous and everybody is just overly excited so you can feel that energy. So it’s definitely a big show. SPOTLIGHT REPORT: And how much did you guys prepare for that song that all of you jumped on stage with Metallica, Megadeath, Slayer. Did you train for that song, did you prepare, or was it just improvised? JOEY BELLADONA: Oh well there are still songs we get a memo or an email that we’re doing this song tonight so let’s get together and do that, or something like that. So we just let everybody know. ‘We’re going to do this tonight, you all good?’ and we’d all say ‘yes’, and the next thing you know we’re just line up and hook it up and go you know. SPOTLIGHT REPORT: And something like that will happen at Soundwave here in Australia? Will you guys jump with Slayer and Metallica? JOEY BELLADONA: I’m not sure. I don’t know how the stage or the line up I don’t have any of that in front of me but I’m sure there is a possibility for that. I just don’t know how the day unfolds. Obviously the Big 4 was the same every night, you know, we’d go on, then Megadeth, Slayer and Metallica but this will be five other bands before us and three after us and we got a different day or a different stage. I’m not really sure on how it’s being run. So, you never know. SPOTLIGHT REPORT: Ok, so, you never know! Well speaking about Soundwave, everyone is speaking about the line-up which is the biggest line up ever I think. I wonder if, well everyone is calling it the Big Three for Soundwave now, well because Megadeth is not there, but I wonder what your ideas on what you think about on coming back and hitting the Australian stage again? JOEY BELLADONA: Well back in Australia? JOEY BELLADONA: Well it’s a great chance to get back there again, it’s been a while, since what, like 2005. So yeah, we’re very excited to come and play. It’s an outdoor event versus an indoor stuff we’ve done the last few times we went. SPOTLIGHT REPORT: You guys will be changing the set list for the show depending on the show or will you be keeping the same set list? JOEY BELLADONA: Well we will have to move it around cause of the time, I’m not really sure what we have for time, whether it’s 45 or an hour but I’m not really sure. But yeah, we will have to tighten it up you know. 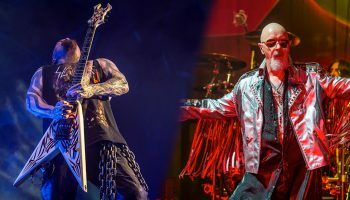 SPOTLIGHT REPORT: Well you guys also have a side-show with Slayer and I wonder, well one fan is asking us on twitter, what can we except about that sideshow. Will you jam with the Tom Araya and the boys on stage or will you do something different for the sideshow? JOEY BELLADONA: Well I think it will be a longer set with more songs, but yeah it’s just a different day, different venue, you know. But we’re just going to go in there and hammer down you know. The festivals tend to be a little bit more, more people around and just the venues are for a different day so I mean as far as the show goes, the only thing I can think of it being different is that it will just be a longer set. SPOTLIGHT REPORT: Ok. Cool. Well, Julio a fan from Mexico just emailed us, asking us, because he is flying here for the shows and he wants to know if you will include tracks from Stomp 442? Which is his favourite album! JOEY BELLADONA: I wouldn’t think so at all. I don’t know anything from that album. Ha. JOEY BELLADONA: Well the answer would be absolutely no at this point right now. Sorry about that! SPOTLIGHT REPORT: Ok. Well I’ll let him know. And Mel from Australia wants to know, with Rob Caggiano’s exit from the band, is there any chance to get Dan Spitz back? JOEY BELLADONA: No, we already have someone right now. We have John from Shadows Fall, lead guitarist. JOEY BELLADONA: We’re pretty much that, you know. SPOTLIGHT REPORT: Also a die-hard fan from Australia on twitter wants to know if you will do a meet and greet cause she is dying to meet you guys? JOEY BELLADONA: Yeah, I hope so. I’m still not sure how we’re handling that kind of stuff. We normally do those types of things. I’m not sure if we’re able to but if we can, we certainly will! SPOTLIGHT REPORT: Beautiful. Well just to start wrapping up, we always ask these two questions to all the people we interview. So the first one is, what has been the craziest fan request you ever got? JOEY BELLADONA: Ohhh, haha. I don’t know. I’m not really sure! Craziest request! SPOTLIGHT REPORT: Or some funny story with a fan or something like that? JOEY BELLADONA: I can’t think of one-off the top of my head, in those kind of terms. You got me on that one! Not sure!…Ahhh, I can’t recall anything that seemed a bit strange. Maybe in different ways. I don’t know. SPOTLIGHT REPORT: Ok, cool. Well changing the question, what has been your favourite live show you ever played and where? JOEY BELLADONA: Mmmm. Ah, you know, well Yankee Stadium was one. Playing Madison Square Garden for the first time was one you know. Touring with Maiden, you know. That kind of thing! SPOTLIGHT REPORT: And have you got the chance to meet any of your idols when you were touring? JOEY BELLADONA: Oh yeah, all the time. Depending on who you’re touring with, there is always. You’re always in good company you know. SPOTLIGHT REPORT: Who? Who have you been able to meet? JOEY BELLADONA: Oh. Plenty of people. Kiss. Maiden, Motorhead, Dio, Ozzy. SPOTLIGHT REPORT: Oh that’s awesome man. Amazing. Ok mate, last question. Do you have any advice for young Australian musicians who want to make it in music? JOEY BELLADONA: As long as you want to do it and you got your heart into it, you will just keep striving to be into it for the long hall. Not be a hobby. Well it can be a hobby but if you want to take it on, you got to maintain all the hard work to make it. SPOTLIGHT REPORT: Perfect. Ok Joey, well it’s been an honor to talk with you and it’s like 8 o’clock on a Saturday morning and I’m very happy I woke up early to talk with you. I’m a huge fan of yours and I hope to see you live here in Australia soon. JOEY BELLADONA: Well great I look forward to it too and come to say hi to the shows, looking forward to meet you too! Anthrax performing at Soundwave 2013. Cancer Bats + Kingdom Of Sorrow + This Is Hell – Sidewave announced! 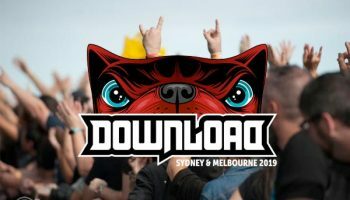 Live Review: Download Takes Sydney by Storm! 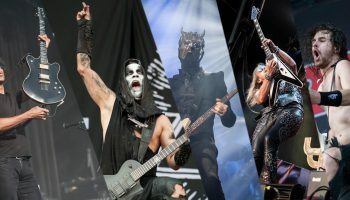 DOWNLOAD 2019 Set Times are Here!